During Square Enix's new Dragon Quest title presentation that was streamed live on YouTube they've announced the next mainline entry in the Dragon Quest series. Dragon Quest XI is currently in development and will be released on PlayStation 4 and Nintendo 3DS. Producer of both versions will be Saito Yosuke. The soundtrack will be written by Koichi Sugiyama. The PlayStation 4 version is being developed with the Unreal Engine 4 and they said that they will use the console at it's full potential [Footage PlayStation 4 version]. The Nintendo 3DS version will be developed by the same core members and will feature full 3D on the top screen and the classic retro look at the bottom screen [Footage Nintendo 3DS version]. They are aiming to release both versions sometime next year with the 30th anniversary of the series. At the end of the presentation they said that a version for the Nintendo NX is also in consideration. Square Enix has recently announced their biggest line-up ever for Gamescom 2015 that will take place in Cologne, Germany from 5 to 9 August. Square Enix has 1,100 square meters of booth space featuring more than 200 hands-on stations for gamers eager to try out Square Enix’s upcoming releases. Their main booth is located in hall 9: B31/B41. Final Fantasy XIV: Heavenward - MMO fans are called to arms at the Final Fantasy XIV: Battle Arena (hall 9, C51), where gamers face-off against all the powerful primals (Ravana and Bismarck) featured in the game in order to win attractive prizes. Returning to comment on the Final Fantasy XIV action live are the experienced ESL commentators Mori, Hendrik and A1m. Final Fantasy XV - Big stage of the booth. Visitors will be treated to a number of exciting stage presentations with many well-known guests and new insights into the much-awaited game – a few select fans will even get the chance to play Final Fantasy XV: Episode Duscae v2.0 at the booth. Lara Croft: Relic Run - playable. More information regarding the Final Fantasy XV stage schedule and more new announcements and reveals at Gamescom 2015 will be released in the coming weeks. Square Enix has temporary halted the sales of the Mac version of Final Fantasy XIV due to various technical issues with the version as well as poor communication before the launch. For customers who already bought the game Square Enix is offering a refund. 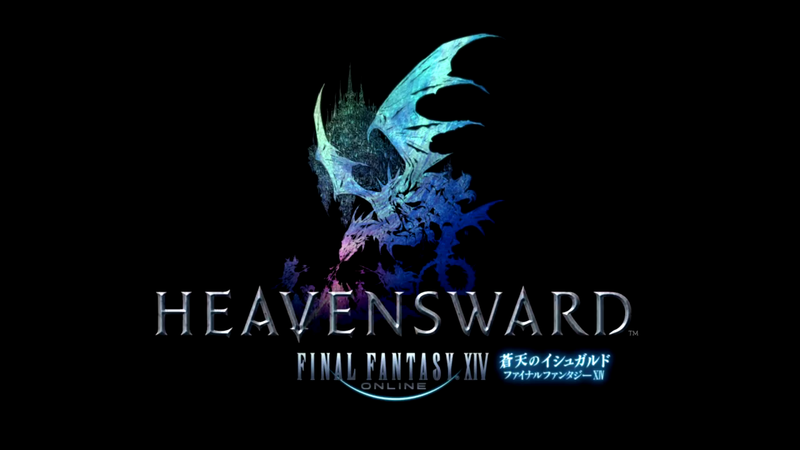 The Mac version of was released on 23 June, together with the first expansion Heavensward. But soon after the released the Mac version suffered from serious problems making the game unplayable. On the official forum Naoki Yoshida, producer and director of Final Fantasy XIV, apologies and said that the issues were mostly caused by the middleware that is being used to convert DirectX to OpenGL. The biggest reason that they used middleware are the development costs.